Announcing 4 New Shows for the First Half of 2019! I am happy to announce that I have a full line up of shows slated for the first half of 2019 here in Washington State. If you live in Whatcom, Skagit, Snohomish, or King County we have something for you. All of these shows are free to the public and will be shown with other artists. This is the beginning of my first new year as a full time artist in my new and expanding studio and I am super excited to share the year's work with you as I dig in further and learn more. If you can't make one of these shows, but still want to visit the studio and see my work, feel free to email me to arrange a day to do so. We've had multiple studio visits already and without warning the day breaks out into a comedic living art slide show of my work and the trials and tribulations experienced along the way. So plan for a longish visit. And we're just getting started. Please join us in 2019 and happy life to you all. SHOW ONE: March 2 - 30 ANT Gallery Re-opening in Seattle, WA. This winter the Seattle Center and the ANT Gallery underwent remodels to support modifications to the Key Arena for greater use. The ANT Gallery volunteers and staff have created a beautiful space within the historic constraints of the landmark building housing the non-profit. This March, the gallery will be reopen with a show of the co-op's talented artists, including many new faces. Set in the morning shadows of the space needle, ANT is the place where artists get to show their favorite works to the world. The active artist connection make this gallery all the more of a secret gem in the middle of the already amazing Seattle Center. In March of 2019 I will be debuting my Roosterdoo series at ANT Gallery. This first round of rooster-inspired paintings magnify the already bold characteristics of male chickens. The all-day-long-I'm-ready-let's-go-come-on-bring-it-BOK-hey-baby-come-and-get-itness of them is unparalleled in the animal world I swear. The city kid in me feels like I need to report the two creeps in my own pen here in Day Creek or Twitter may hunt me down as an accomplice. For me and other chicken owners I've shown, this series really captured the imagination and seemed to say exactly what roosters think of themselves. But if you don't have chickens, after looking at these paintings you'll want them. It's chicken box. And you'll be happy to hear that I have many more directions and iterations forthcoming. These first pieces are modestly priced and have been etched in the minds of thousands of viewers socially already prior to their physical display outside of my studio. I find that alone to be such a cool fact! Anyway, please, if you're in Seattle, check out the first series of the Roosterdoos at ANT Gallery and perhaps we'll see you at the opening on March 2nd. I will be joining other selected artists to show for 3 months in Lynden's lively Jansen Art Center. In the Center's words "It is a place for artists to create, teach, share and engage the community in appreciation of the arts." At this show you'll see the following of my works: Big Blue, Apt Protest, and Roosterdoo #3. All work will also be available for purchase. Any sales help both the Center and my own studio efforts. The opening reception on Mar 7 will have live music, light fare, and drinks available. Come on out and meet the artists. This June I will be taking over the rotating artist space at the Sno Isle Library in Edmonds, as a part of their Third Thursday Artwalk. I'll be attending an art walk soon to determine the work I'll select for this opportunity to be a part of the state's newly dubbed first official Arts District. All eyes will be on the town to see all the wonder they have to offer, and I am super excited to meet everyone who is a part of the arts there. This summer, don't miss this unique opportunity to meet multiple artists and learn more about our work and my studio here in Day Creek. During this weekend, I will be sharing both a chronologically ordered survey of my past work as well as a selection of my 2019 works which are comprised of 5 series ranging from paintings and mosaics to assemblages and wearable jacket designs. I will also be sharing my studio with two other Skagit area artists, Ron King (Mt. Vernon) and Andy Friedlander (Sedro Woolley). And, we may have a few special local guests as well throughout the weekend. We know we're way out here, so we're going way out of our way to make it worth your effort to come out and see the beautiful area and see some super cool art and where it is made. Both evenings at 6 pm I will hold "sip and slide" talks where I will walk through a progression of my work telling stories of interest along the way. We suggest you make us your last stop for the day and plan to relax and spend some time here with us at Day Creek. Saturday February 2 will be a great day to come out and see two different shows I'm exhibiting in. Both shows are close enough to each other here in Skagit Valley, that you could and should attend both back to back. SHOW ONE: Eagles & Co. at The Front Gallery in Mt. Vernon. The first show of the day is from 2 to 5 pm at The Front Gallery in downtown Mt. Vernon as a part of the Birds of Winter Art walk. 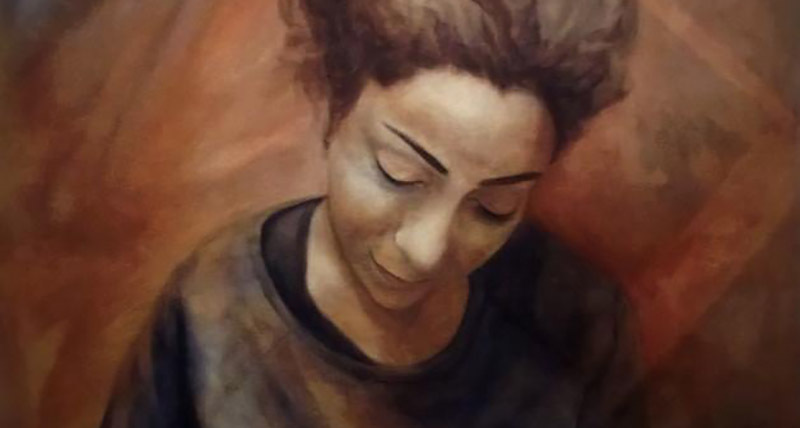 As one of three artists in the gallery space, I will be exhibiting recent paintings with a more natural feel to them than my typically stylized work. This new work has been appropriately influenced by my new studio location along the Skagit River. Most notable among the pieces will be my new series of eagles perched along the river. Recent visits to the Marblemount area had me in awe at the sheer volume and uniqueness of the annual eagle migration to this ecosystem. After taking it all in and returning to my studio, I felt compelled to record the experience on canvas. These paintings are a celebration of the area and these amazing birds. SHOW TWO: Birds imagined at Hadrian Stone in Bow-Edison. The second show of the day will be from 4-8pm at Hadrian Stone Gallery in nearby Bow-Edison. The gallery artists there will all be participating in a bird-themed show to coincide with Skagit Valley's celebration of all things avian. Our plan for this show is to exhibit a range of my more colorful and playful pieces where the character of the birds depicted take on near-human personalities. This will be my first showing with Hadrian Stone Gallery. DAY CREEK - We are super excited to have finished moving, renovating and activating the new studio here along the upper Skagit River. We have a fully operation space once again and I have already begun to work on a new series of paintings that represent life on our small farm here. Aside from this immediate series and preparing a sales catalog, I am now scheduling commissions for January through March. If you have a space that needs a little nature or surrealism in it, let me know and we can come up with something timelessly beautiful for you. To visit the studio, please contact us via art@donwesley.com to give us a warning you are coming. As short as an hour notice is fine as I'm in or around the studio and available most days from 9am to 9pm. Give yourself 30 minutes to get here from the Mt. Vernon I-5 exits. It's a beautiful rural drive to get here that travels through farmland and along the banks of the Skagit River. We look forward to seeing you. SEATTLE - Hiba Jameel and I will be co-curating the 2018 ANT Gallery Show at Bumbershoot. This show will feature juried works from the gallery artists focusing on the theme of Rhythm in Music and Life. The jury that Hiba and I have assembled will include Jason Matias, Mireya Lewin, Marty Griswold, and Sabah Al-Dhaher. We want to thank each of them for their time and support of this show. Show runs during Bumbershoot from Friday August 31 through Sunday September 2. SEATTLE - This year's Folklife Festival will include multiple art exhibitions that address cultural and personal identity. Specifically for the Art/Not Terminal Gallery I painted the Viceroy and Chough. The alpine chough is a bird you'll find in the mountain villages of the European alps. The Viceroy's inclusion aims to connect the zeitgeist of contemporary America with the eerily similar conditions of disparity from pre-war Edwardian Great Britain. The bubble represents itself as a metaphor in the work. Show runs May 25-28, Open 11am-7pm. SEATTLE - March of 2018 will mark 15 years since US and Allied forces entered into IRAQ for what would later become known as Operation Iraqi Freedom. Since then, the United States has lost 4,531 brave souls to the conflict within the borders of Iraq. During the first nine years of the operation, Army veteran Don Wesley kept a visual count of the US soldiers lost in Iraq by using his skills as a painter to express both his grief and honor for the fallen. Each one of the nine paintings represents that year's losses in total. Each bird represents one of the soldiers who died during that year. However, the story that is not told in these paintings, is the losses of Iraqi people to the conflict. It pains one to imagine that possibly 200,000 or more civilians and guard soldiers were killed in the conflict as well. To put that in perspective, we'd need 43 more exhibits similar to this one to pay proper homage to that nation's losses during this time period. Wesley's show is in coordination with Iraqi artist Hiba Jameel's "Atari Pains" which draws from her personal experience during the preceding Gulf War. Opening reception Saturday March 3, 6:00-9:00pm. Runs through March 24. Open Tue-Sun 11-6pm. SEATTLE - Please join me in February as I share another facet of my art; portraiture. This month I have chosen to share a glimpse into my portrait work via The Letter, a 36x36 inch acrylic painting that depicts my wife Parisa writing a letter. This portrait was meant to capture a moment in time where we saw life tossed upside down for us both. This moment was the calm before the storm during that period in our lives and captures an innocence that would soon be disrupted. Opening reception Saturday February 3, 6:00-9:00pm. Runs through February 23. Open Tue-Sun 11-6pm. SEATTLE - This winter I joined Art/Not Terminal Gallery with hopes to meet new people, and have an opportunity to showcase my artwork to the public in a more prominent location. The gallery is located on the grounds of the Seattle Center and highlights the work of member artists who are responsible for the galleries success. The gallery also provides me with the opportunity to show more than one facet of my artwork, so I look forward to many exciting shows in the future with this talented group of artists. 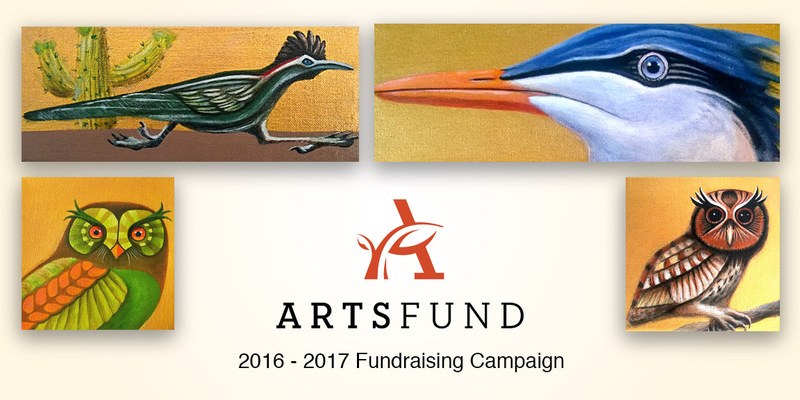 ArtsFund Annual Drive a Success! Visual and performing arts enhance the cultural diversity and awareness of a community. The arts increase a communities chances that they'll be inclusive and healthier. Children who have participated in art during their developing years, have a better chance at succeeding as contributing citizens. By default, art develops the mental capacities for curiosity and problem solving. So, in addition to making the world a more beautiful place through paintings, plays, songs, and movies, art also makes us better people. As a nation, we are now faced with funding the arts ourselves. Funding organizations that include the community in their mission is what we are all about at ArtsFund. Last year I joined ArtsFund as an associate with the simple goal to help raise funds for the arts in our community. To help do that, and to spread my own love for the arts along the way, I created this series of gold paintings as gifts to donors during our giving campaign. I painted them gold to symbolize that giving to the community and supporting the arts is a treasure. It's like gold.